Eyebrows are one of the most important features of our faces – and yet they are often the most neglected. A well shaped and groomed brow can give a more youthful appearance, balance features, frame the eyes and ensure you always looks polished and ready to go with minimum effort. It isn’t always easy to achieve the correct shape for your face, that’s where the experts at HTN come in. We can come to you at a convenient time armed with the experience and products needed to shape and groom your brows to perfection. You will be amazed at the difference this simple addition to your beauty routine can make. Read on to find out more about the products we use and how to can maintain your brows at home between appointments so they are always on point! We selected Billion Dollar Brows as our preferred product line to help our clients achieve beautiful brows at a sensible price. 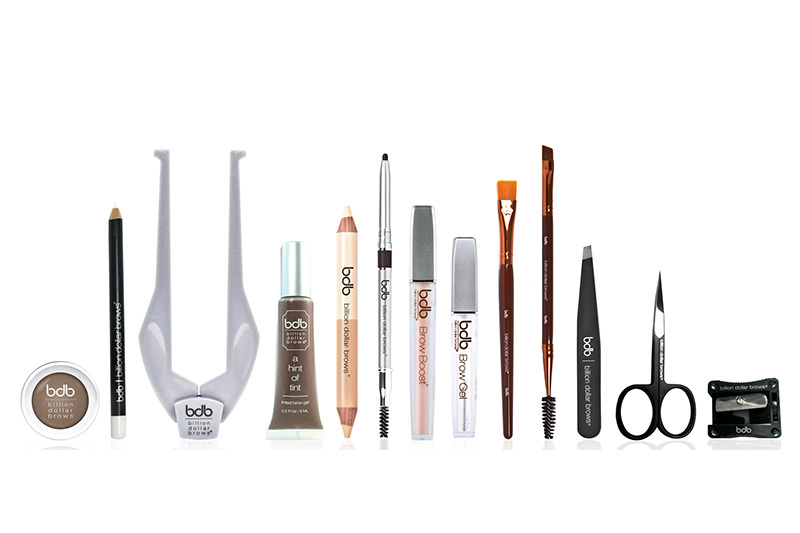 Using Billion Dollar Brows we can provide the full works including measure, tint, wax, trim, pluck and fill in with BDB cosmetics for the perfect finish. We encourage our clients to maintain their fresh new brows to get the most out of their service. We supply a full range of BDB products, call or message us today to find out more. We also encourage those who have over plucked to use the BDB star product Brow Boost, a protein and vitamin enriched conditioner that works to help your brows look healthy and full.